A great reckoning with investors will soon confront financial institutions (FIs). Since the mid-1990s, the financial industry has made bold promises about how technology, the internet, big data and other revolutionary tools will transform all aspects of their financial lives. And while investing has changed significantly in the last two decades, industry leaders are painfully aware of the gap between investors’ expectations and reality. Today’s investor would likely be stunned to find out that most of the bond market is actually traded manually over a phone. Or that reporting on portfolio returns remain more art than science because data aggregation and analytics realities trail marketing hype. In truth consumers don’t care how the technology works, they just care about the results it produces. Part of the challenge for FIs is that consumers have become so comfortable with technology across all aspects of their lives, that they come to expect it in all of their service relationships, investing included. They wonder: Amazon, eBay and Netflix have it figured out – why can’t my FI give me a similar experience? Forget that these are vastly different industries and regulatory frameworks – that’s the standard. How serious is the issue for FIs? Consider some recent data from a Wells/Gallup 2016 Survey: While about six in 10 investors report doing basic financial tasks online – such as reviewing account fees and investment statements or transferring money between accounts – half of investors say interacting with their primary financial services institution through a website or mobile app is most important to them. These attitudes are sharply different by age. Most investors under age 50 (69 percent) say they rely on the website or mobile apps to interact with their primary investment firm. In addition, the majority of investors say they would trust the advice a lot or a little more from a tech savvy advisor than advice from a less tech savvy one. As the millennials come of age, the tech expectations will only grow. Millennials – now the largest demographic – are forcing disruption in the financial industry because they are not interested in paying for professionals’ time to perform tasks that can be automated. They want information at their fingertips and are comfortable viewing and managing financial information digitally. Industry experts are coining terms like cyborg or bionic to describe the future model for how millennials (as well as portions of older generations) want to engage with their financial institutions. Essentially the model is shifting from primarily human enhanced by technology to one that is primarily digital, enhanced by the human element. The first might be called the era of Digital Paper or perhaps “the great Paperless shift of the 90s.” Transacting online was still in its infancy and reporting tools, let alone a compliance framework for a digital age, were nonexistent. Yet, the ability to send electronic documents was indeed a breakthrough. By the end of the decade, ECNs, more powerful personal computers, common access to “real time” pricing and the rise of online brokerage firms caused online trading to explode. However exciting the ability to trade stocks for consumers was, the middle and back office operations were inversely miserable. It would take a number of years before the technology infrastructure for the industry brought significant efficiency gains to operations. But there were numerous problems on the consumer front. Among them, the fact that consumers wanted information – and the industry gave it to them: reams and reams of documentation on their accounts that they needed their CPA to decipher for them. As we entered the 2000s, Wall Street upped its game with (for the time) better user experiences for investing beginning what might be called the Great Promise era. This is where we saw the introduction of online brokerage, “original digital investment firms” marked by claims of transparency, information flow, insights and integration that in truth did not quite deliver on the hype. During this period, online banking became the primary bank channel, and self-service on financial accounts became the adopted standard, raising investors’ expectations for functionality, user experience and data/information flow. The proliferation of smartphones especially in the new decade added another challenge for financial firms. Not only did they need a cutting edge UX but the expectation was that the experience – including the information and functionality – should be consistent from a desktop to a smartphone to a tablet. 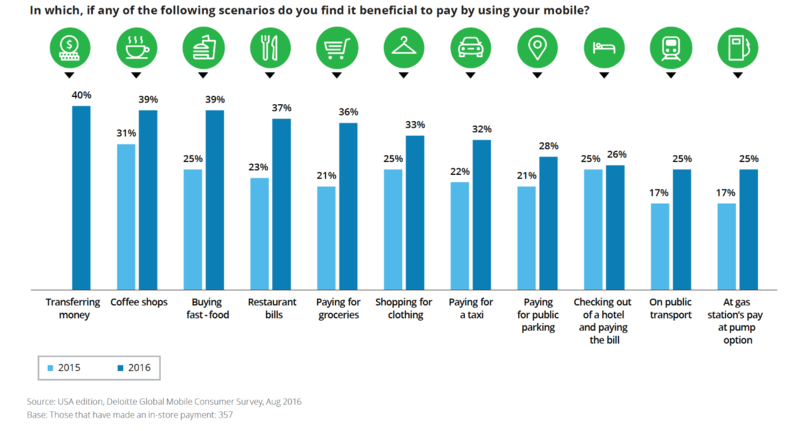 Now consumers wanted to view their accounts in real time and transact on any device, anywhere in the world – securely. Perhaps more important, the library of apps with high functionality has created a new level of expectations. Consumers shopping on Amazon or Zappos apps have the ability to see a massive menu of products, execute transactions, see their accounts and maintain a live history. Spotify enables them to listen to any song imaginable instantly. Snapchat and Facebook integrate information from other social accounts, consolidating Tweets and Likes and all kinds of personal information. All of it works seamlessly and effortlessly for consumers. 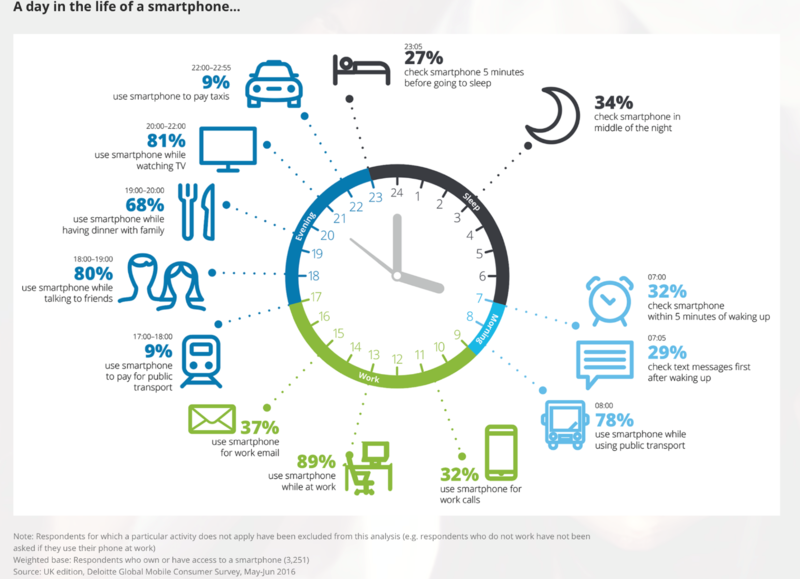 As a result, smartphones increasingly are the central hub for most activities in consumers’ lives. Comfortable, confident understanding of living digitally, especially as it relates to an ability to view and manage finances. Autonomous in decision-making. Willing to receive advice but preferring complete control of their financial life and decisions. Transparency – They want real answers to questions about performance and costs, especially fees. Timeliness – “Real Time” has to mean “instantly,” and it of course has to be accurate – not an estimate. Data Aggregation and Insights – All financial information needs to be consolidated and viewable easily through an app or portal. Intuitive, easy to use interface – Digital experiences evolve rapidly creating an arms race for competing financial firms. The ease now of switching financial firms creates additional pressure. Clients expect an attractive and superior UI. Risk Management – Central to all of these capabilities is the clients’ desire to anticipate and be prepared for what is coming next. Guidance (Self-directed but with guardrails) – Millennials in particular are very independent in their financial habits but even as they seek to make their own decisions they want access to advice, ideas and guidance. However, consumers are becoming increasingly self-directed and millennials prefer technology to live person interaction. This includes receiving advice – they prefer guidance from an algorithm or app over interaction with a live person. There have always been firms that resist the inevitable evolution in the industry. Typically, firms that resist or are slow to change lose significant market share or disappear, sometimes seemingly overnight. The consumer shift toward a Digital Financial Life puts many firms at a crossroads: adapt a winning digital strategy and grow OR resist and slowly fade away. Firms that can become an essential hub for consumers’ management of their financial lives will become indispensable, creating sticky relationships and cross sell opportunities while maintaining a strong differentiator from peers. But the window of opportunity is closing. Firms seeking to implement a digital strategy need to start now or another firm will fill the void and own your clients’ Digital Financial Lives.